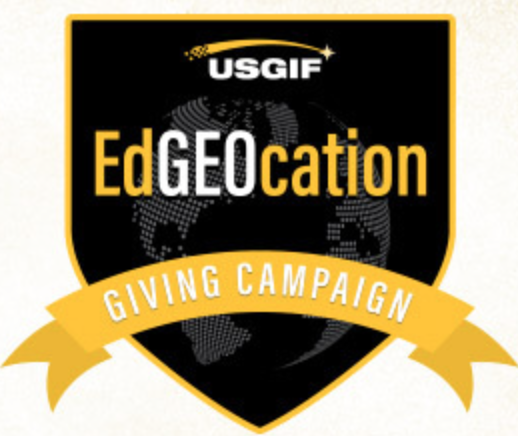 The United States Geospatial Intelligence Foundation (USGIF) has launched the EdGEOcation Giving Campaign to raise money and awareness for USGIF’s educational programs. The Foundation has set the goal to raise $5,000 by Dec. 31. The University of Arkansas Department of Geosciences in the J. William Fulbright College of Arts and Sciences has succeeded in raising more than $500,000 to meet the Walton Family Charitable Support Foundation Match for geosciences doctoral fellowships. Macleans looks at the new field of health geography and how and where it's taught in Canada. AP GIS&T Needs You and Your Colleagues! We need attestations of support from 100 colleges and universities for AP GIS&T! Complete the online form at: http://apgist.org/. 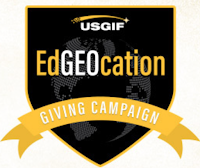 We need attestations of support from 250 high schools for AP GIS&T! Complete the online form at: http://apgist.org . Maria Antonia Brovelli reports on the Geo for All/UN Committee of OSGeo supported Capacity Building Working Group which offered a QGIS Academy course earlier this fall. There were 18 students from the UN Operational Field. A second course has the same number. Next up is a PostGIS course to be offered in January. It'll be based on the Boundless intro workshop. Two tutors have been identified; the group is looking for one more. Jamaica's GIS Day, coordinated by the Division and the Land Information Council of Jamaica (LICJ), will focus on the theme "Geospatial Technologies: Advancing Public Health Services." 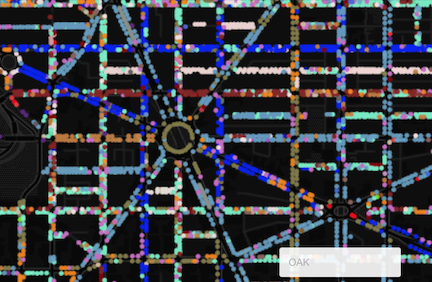 Randy Howard Smith, a GIS specialist at Hood College in Frederick, MD mapped the street trees in Washington D.C. based on D.C. Open Data. used CARTO. Via Technically DC. @theaag asks GeoMentors to help the organization reach a goal of 1,000 reported activities by Dec 2017. I'm please to see a "Data Use Permission" section in the form. POB, a surveying publication, provides a U.S. election poll. @gisetc is mapping pictures of "I voted" stickers on a crowdsource story map. It appears that detailed location information is shared if you decide to provide it. 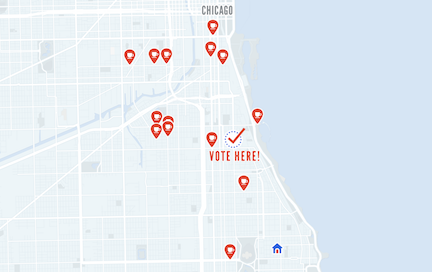 Mapbox offers a tool to find your voting location. You also will find "things to do" nearby powered by foursquare. Western Illinois University Geography Professor Chris Sutton is the editor of the latest edition of Goode's World Atlas, produced by Rand McNally. Esri extended the EsriEdUC abstract deadline to November 11, "because you asked for it." The Esri User Conference abstract deadline is also extended, but to November 4th. "Due to a high volume of submissions" the AAG2017 abstract deadline has been extended to Nov. 17. The folks at Safe Software ran a Twitter poll about this extension. Joseph Kerski, one of my colleagues on the education team, wrote a new book about geography and geographic technologies covering foundations and implications titled Interpreting Our World – 100 Discoveries that Have Revolutionized Geography. Here's his blog post on it and here's a video. Here's the Amazon link. From the Story Maps team: There are "over 200,000 story maps hosted on ArcGIS Online (doesn't include story maps on Enterprise or hosted elsewhere); about 1,000 new story maps made every day."